If you’re in the market for extraordinary cantilevers, then look no further than the range of luxury umbrellas at Design Warehouse! The Kingston Cantilever Umbrella is huge! With a width of 4 metres, you can keep in luxurious shade, year round! 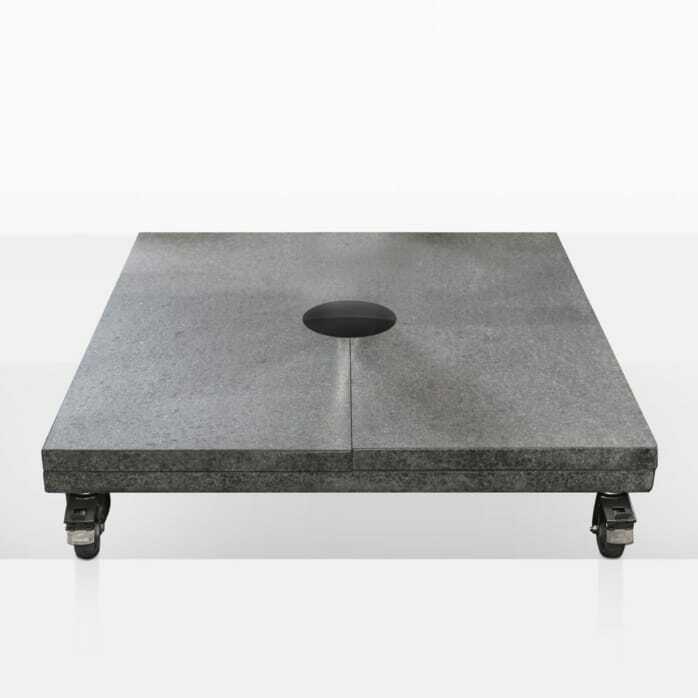 Along with the amazing umbrella comes this amazing base; the Kingston Cantilever Umbrella Base in solid granite is on wheels with locks, so you can take your umbrella wherever it needs to go! 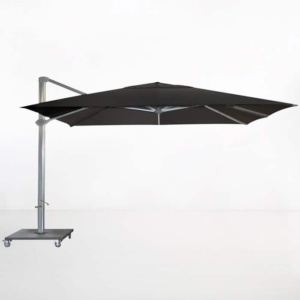 You need support with our cantilever umbrellas, they are large, tall and need strong support! 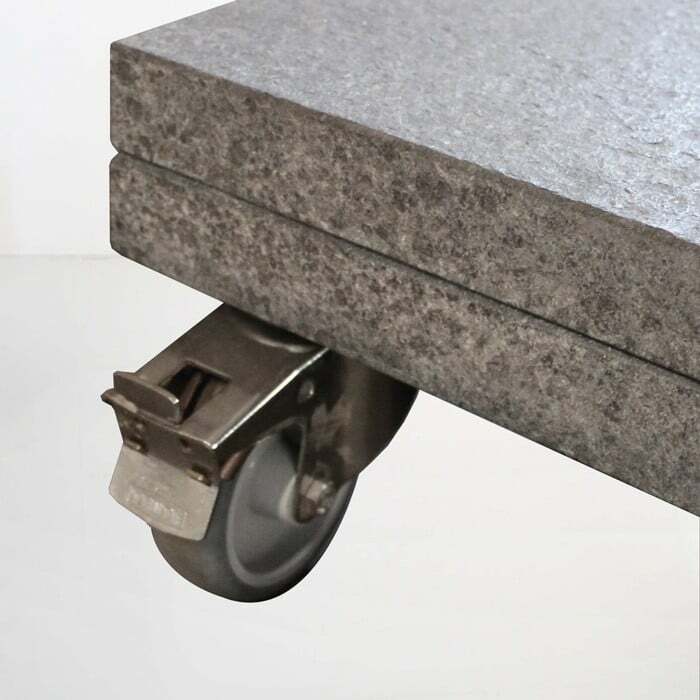 The Kingston Cantilever Umbrella Base (Granite) is 200kgs heavy, and attached are 4 castors with locks, so you can fix this momentous umbrella and Kingston Cantilever Umbrella Base (Granite) anywhere it needs to go! Place the incredible Kingston Cantilever Umbrella Base (Granite) in the center of your courtyard, ready to swivel and cover your dining set before moving over to your Deep Seating. Imagine a beautiful cantilever Umbrella on one of these large bases covering your large Grade A Teak Table with matching benches, perfect for those long lunches that move into evening… a simple swivel around to your wooden Daybeds for digestifs and dessert while relaxing in comfort, style and shade! Have another area at the end of your garden, verandah or patio? Simply unlock the wheels and push over to where you need it! Lock the wheels in place, and you are set again for shade and comfort! Should you need a fixed cantilever, there is a an in-ground attachment available for purchase, which needs to be professionally installed into concrete. If you have any questions about this or any of our other large bases, then feel free to call in or call up! Design Warehouse is open 7 days a week, and we are happy to help you with any of your furniture needs!